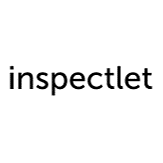 See this comparison of Inspectlet vs Lucky Orange. Customers looking for a good all round conversion tool with the ability to live chat with website visitors in real time. Customers looking for the most customisable polls and forms or customers looking to monitor behavior changes over a long period of time. Lucky Orange is a popular website conversion tool, used on over 100,000 websites. It offers users a range of features to help you engage the people visiting your website. These include a simple to use dashboard, giving you access to a range of analytics and reports. These reports show conversion funnels which tell you where people are entering and leaving your website. The product gives you ways to view user behavior with heat maps and visitor recordings. You can also set up polls and chat to visitors in real time. 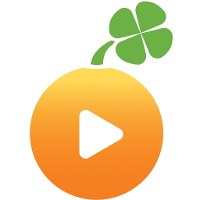 Lucky Orange has positioned itself, as an affordable, accessible service, with a good range of features. Lucky Orange is a great platform to make sure your website is working well and to engage with users. It offers a range of monitoring capabilities which allow you to see how users are interacting with your site and content. The major strength of this service is that it allows you to see what users are doing in real time and allows you to initiate a chat with them through the platform. This can be a really useful tool to get feedback, which is much more personalized than the more static forms offered by some competitor services. Lucky Orange could be improved in the design department. It’s user interface and dashboard are fully featured but is not as intuitive as some competitors. Poll and live chat windows could also be improved to make them more customizable. However, this is a very well-priced platform with a lot of features to help you improve the engagement with your website.